The Parliament of Iran is currently considering two separate bills designed to triple the Islamic country's population. The bills, which would ban contraceptives, abortions, and vasectomies in Iran, is aimed at incentivizing child-bearing. The moves, denounced by human rights group Amnesty International, would reverse the country’s progressive and extremely effective family-planning legislation. Specifically, one bill would ban all surgeries designed to render men infertile, including vasectomies, unless the patient's health was in danger. It would also cut state funding for other contraceptives. The other proposal, cheerily named the Comprehensive Population and Exaltation Family Bill, would encourage private and public companies to hire fathers, husbands, and married women with children. It would also make divorce laws more stringent. The bills have gained the approval of the Guardian Council, an influential group that judges whether proposed legislation is compatible with Islam, and now await parliamentary approval. On Wednesday, Amnesty cautioned that the new measures would convert women into "baby-making machines" if passed into law. Amnesty claims the bills would lead to undesired pregnancies and sexually transmitted infections and gave women no option but to seek risky illegal abortions. The organization argues that the laws discriminate against unmarried, childless women by broadcasting the view that childbearing and domesticity are women's most important duties. The bills reinforce discriminatory stereotypes of women and mark an unprecedented move by the state to interfere in people’s personal lives. 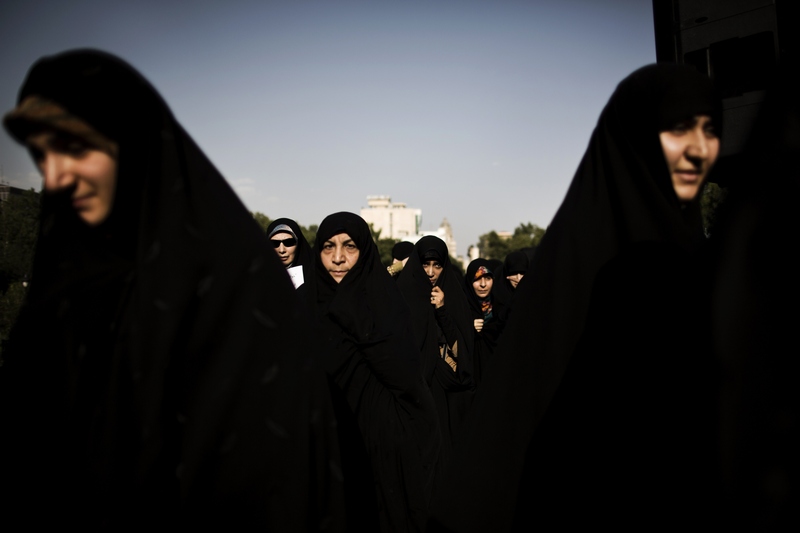 In their zealous quest to project an image of military might and geopolitical strength by attempting to increase birth rates, Iran’s authorities are trampling all over the fundamental rights of women – even the marital bed is not out of bounds. In 2012, Supreme Leader Ayatollah Ali Khamenei issued an edict that called for more Iranian children to "strengthen national identity" and counter "undesirable aspects of Western lifestyles," according to The Independent. More recently, he questioned why parents chose to have less children or no children at all. "We are not a country of 75 million, we have [the capacity] to become at least 150 million people, if not more,” Khamenei said, according to The Guardian. Iran, which has exercised family-planning practices since the 1990s, began to reverse its stance in 2012. Then-U.N. Chief of Population Policy Vinod Mishra told Al-Monitor at the time that the country was experiencing “one of the most dramatic declines in the world,” down from an average of seven births per woman in the 1980s. In 2000, Iran received the UN Population Award for its astoundingly successful population-control program. “It confounded all conventional wisdom that it could happen in one of the world's few Islamic republics," Jalal Abbasi-Shavazi, a demographer at the University of Tehran, told The Los Angeles Times. That's because during the Iran-Iraq War in the 1980s, the government, eager to more produce future soldiers, strongly incentivized childbirth. The birth rate consequently hit a record high. To curb the growth, then-Supreme Leader Ayatollah Ruhollah Khomeini issued fatwas to make birth control widely available. Contraceptives could be procured for free at state-run clinics throughout the country, and health workers promoted their use. Engaged couples had to receive family planning counseling before marriage. The government espoused the motto farzand kamtar, zendegi behtar, or "fewer children, better life,” and the birth rate plunged. That would all change should the bills pass. Iran's proposed contraceptive ban brings to mind one of its close neighbors: Turkey. Last year, The New York Times reported that President Recep Tayyip Erdoğan declared contraception advocates as treasonous and blamed them for stifling the country's growth. Erdoğan had previously compared abortion to murder, according to BBC. The family planning bills currently before Parliament could represent a significant step backward for Iranian women's rights. The country, where, according to Amnesty, almost 3 million women received a police warning for their perceived failure to observe the Islamic dress code in a 12-month period, cannot afford to backslide on women's rights. Iran's women, though, are far from beaten into submission. Last year, the Facebook page "My Stealthy Freedom" gave women an outlet to seditiously post photos of themselves without covering their heads. The page has more than 700,000 likes, and has earned praised from human rights campaigners. After all, even stealthy freedom is better than nothing.